How do you like the alliteration in my post title?! Haha. Anyways, hi. Hi. 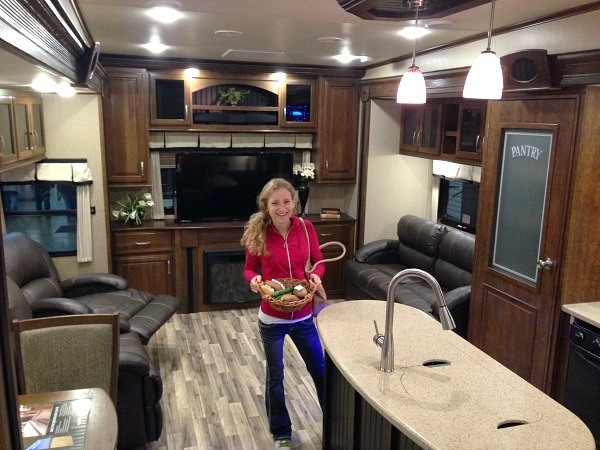 Just another photo inside an RV. That was fun. I’m not sure how it happened this way, but last semester I only had communications classes, and actually completed all of the communications classes required to graduate with a journalism degree from Penn State. This semester, I have all general education classes. It’s definitely different! -My favorite class is Deaf Culture. I don’t know why I took it, but it has already opened my eyes to the types of challenges deaf people face each day. I keep talking my family’s ears off about everything I’m learning in this class. -My least favorite class is statistics. I have put off taking this class my whole college career. Not smart. I need to earn a “C” or higher for it to count towards my degree, and I’m hoping to finish classes on campus this semester. If I fail this… I don’t know what I’m going to do. -My classes all focus on reading and testing. Last semester, all of my classes focused on listening and writing. This is different! I like reading, so I think it’s going to be a-okay ;-). 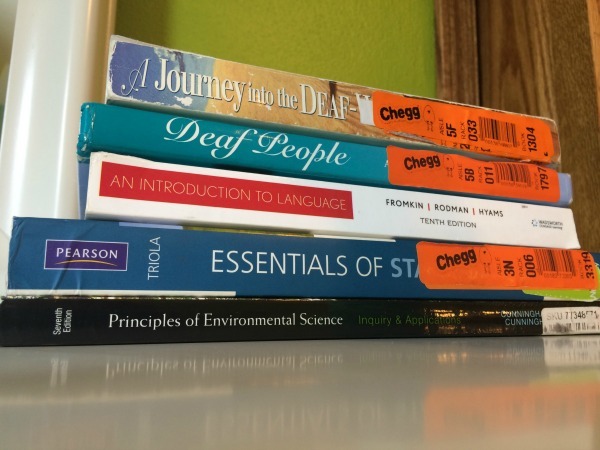 -I am continually surprised at how much my courses all relate to each other, especially linguistics and deaf culture. -I loaded up on five classes because I’m trying to finish my last few classes via email with my communications professors in the summer/fall since I don’t know where Jimmy and I will be living (more on that in another post!). -I’m still the editor of the school paper and president of the newspaper club. I’m still working for my parent’s real estate brokerage. I’m still planning mine and Jimmy’s wedding, and we’re still house hunting. I am busy. -I need to be very careful about not overworking myself. I tend to try to do everything, and do it all perfectly. I want to enjoy life, not push myself so hard that I just do, do, do instead of enjoy and experience. 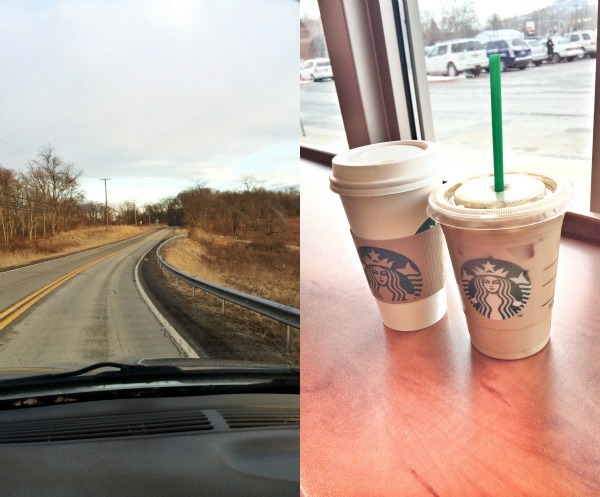 I’m not too busy to enjoy winding roads and Starbucks dates with Jimmy! So yeah, I think that’s about it. To sum it up, I’d say that I am enjoying my classes and this different type of semester. I wouldn’t say it’s easier than last semester because these courses are kind of “out of my realm,” but I also truly enjoy learning about different topics, and thinking about how I can apply them to whatever I do in the future, as well as my everyday life. My life is very full right now, and I love it. I can’t wait to blog more about other things going on (wedding/future stuff), but until then I have some studying to do! I feel ya on trying not to be to hard on myself….this semester is already proving to be more of a challenge than I thought and I’ve had to reassess and change a few things. Not something I normally would have done but I think it will be best for me in the future. Your classes sound really interesting!! Good luck with classes this semester- 5 is a lot for senior year but at least you’re getting all the on campus ones out of the way. I never had to take statistics but Clay did, I think it’s pretty tough… deaf culture sounds fun and interesting though. Definitely take some time out and just enjoy things- don’t put too much pressure on yourself. I did that in college, and really, it doesn’t make a big difference in 5-6 years. I wish I’d had more crazy fun times and partied more instead of just trying to earn 4.0s. Allie! If you ever have any questions about stats, I was a stats tutor back in college! I know you are going to do awesome with your schooling and I cannot believe you are almost done. You have such an exciting next few months and year ahead! Some of the best classes I took in college were my GE classes. I especially loved this Anthropology class I took since we had to read ethnographies about African and Brazilian cultures. Very eye-opening and interesting! So much excitement mixed in there!!! I want to hear more about your wedding planning 🙂 I’m sure you’ll do awesome with your classes due to your motivation and drive to do well! Can’t wait to see how things unfold! You are a busy girl!! As usual. The Deaf Culture class sounds fascinating. Take care of yourself, girly, through this busy semester. That is a HUGE change in classes for sure! But always learning what jives with us is key in college. Most important IMO is that snippet of abandoning the perfection Do All The Things reflection….I love that focus for you. Hi, Allie, I’m just catching up on reading your blog after being away for awhile. Your classes for the semester do sound really interesting, especially Linguistics and Deaf Culture! I wish my college offered classes like that. I had to take two stats courses for my major (psychology), and while it’s not the most interesting subject matter, it wasn’t too bad (and this is coming from a girl who HATES math). I’m sure you’ll do fine! Can’t wait to read more about you and Jimmy’s wedding planning/house hunting!! !